Hello everyone, I know I have been very scarce...I moved. It's been long few months and I am just about complete in my new studio and will start creating again soon. Moving 7 people is a TON of work. 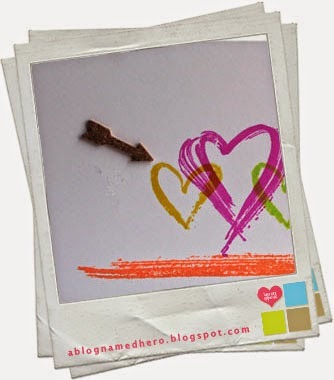 Today is my last post for A Blog Named Hero. Serving as a Design Team Member for them has been an honor. I have made life long friends, cohorts and family. They will never be far from my heart. So to end my time with them I created two cards. Here is a sneak of one...you can see the other at A Blog Named Hero. Such a fun card!! Been a while - hope all is well.